By Linda Raftree on June 15, 2012 | Comments Off on How Will IATI Impact US-Based Development Agencies? Tony Pipa, Deputy Assistant Administrator, Policy, Planning and Learning at USAID, started the Salon off by noting that IATI is an inter-agency US government commitment, not only a USAID commitment. USAID is the lead agency for developing the IATI implementation plan, building on existing agreements on transparency, enhancing the US Government’s commitments to transparency, openness and accountability. A key element of these efforts is the Foreign Assistance Dashboard which places the data into the public realm in a user friendly way, making it easier to understand visually and also more accessible and easy to find. The goal is not only transparency, but greater accountability. The US Government hopes to streamline reporting requirements, meeting multiple requirements for a range of international and national reporting standards. The goal for USAID is making aid more useful for development. Steve Davenport from AidData followed, giving some background on IATI itself. 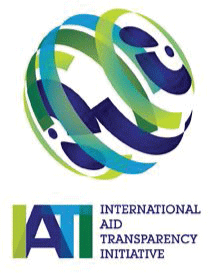 IATI was initially sponsored largely by DFID, but has since grown as a partnership. Over 75% of development assistance is represented by signatories to IATI now. Eight donors are now publishing and twenty-three developing countries have signed on (involving partner countries at the local level as well). Different groups are conducting pilots to see how to implement as IATI gains more traction. For this reason, it would be a good move for US INGOs and contractors to get in front of the transparency and accountability curve rather than get hit by the wave. Better transparency allows organizations to better show their results. The IATI standard can lead to better coordination among the different actors, making it easier to broaden our collective impact. This is especially important now given that aid budgets are being reduced. IATI can be thought of as a group of people, a set of commitments, and an XML standard for moving data from point a to point b. Application developers are beginning to pick this up and develop tools that allow for new ways of visualizing the data, making it actionable and improving accessibility, which can lead to better accountability. Larry Nowels (Consultant at Hewlett, ONE campaign) spoke about Hewlett experience with IATI. Hewlett has made a large investment in transparency and accountability, supporting US and European organizations as well as startups in Africa and Asia over the past 10 years. Transparency is a key building block, so that governments and their citizens know what is being spent, where and on what, and how to make better decisions about resources and reducing waste. It also allows citizens to hold their governments accountable. Hewlett was one of the original signatories and the second publisher to the IATI standard. A key question remains: What’s in it for an organization that publishes according to the standard? For some teams, IATI makes all the sense in the world, but for others it seems to be a waste of resources. The Obama Administration (Open Government Directive, Open Government Partnership, Foreign Assistance Dashboard), all show a strong commitment to transparency. The tough part is implementation of IATI standards and details are still being worked out to find an ideal way. Larry considers a central repository ideal, but there are issues with quality control and the Foreign Assistance Dashboard does not add data that was not already publicly available. In addition, many US Government agencies have not been added to the Dashboard yet, and getting them on board will be difficult if they are less dedicated than USAID or State. It’s critical to institutionalize IATI and related initiatives and internalize them, given that we cannot assume Obama’s will be a multi-term presidency. In the past 3 years, a number of bills around the theme of accountability and transparency have been introduced by both parties. The Poe-Berman Bill (HR 3159) provides a law to entrench the use of tools like the Dashboard. The Administration, especially the State Department, however, has not engaged Congress enough on these issues, and this has led to some roadblocks. White House pressure could help strengthen support for this initiative; however, there may be pushback by Republicans who generally oppose the US subscribing to international standards. Thanks to IREX for hosting the Salon, our fantastic speakers and participants for stimulating discussion, Wayan Vota for inviting me to coordinate the Salon and Anna Shaw for sharing her Salon notes. *The Technology Salon is sponsored by Inveneo in collaboration with IREX, Plan International USA, Jhpiego and ARM. **The Salon runs by Chatham House Rules, so no attribution has been made for the discussion portion of the Salon.